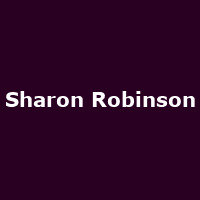 "The universal praise for Sharon Robinson's work crosses the boundaries of songwriter, singer, producer and instrumentalist. Sharon's performances as part of Leonard Cohen's World Tour have revealed that the Grammy-winning songwriter is also a spellbinding world-class vocalist. Sharon's diverse background in music began with classical piano lessons at age six, later leading to music study at the California Institute of the Arts. Her professional music career started with tours and studio session work with the likes of Stevie Nicks, Morris Day and Van Dyke Parks. As a Grammy-winning songwriter and staff writer for major labels, her credits include work with Patti LaBelle, Roberta Flack, Don Henley, The Pointer Sisters and Diana Ross, among many others. Her role as producer and co-writer of Leonard Cohen's Ten New Songs brought her to a different spotlight, as Rolling Stone cited the work as one of the 100 best albums of the decade, and it led her to releasing a critically acclaimed solo album titled 'Everybody Knows'"